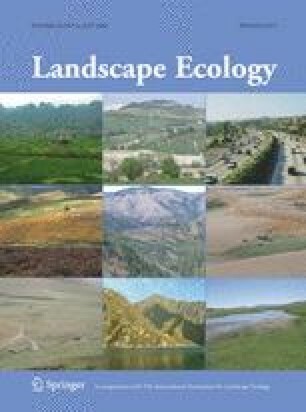 Past land use is an important factor determining vegetation in temperate deciduous forests. Little is known about the long-term persistence of these impacts on vegetation but especially on the seed bank. This study assessed whether soil characteristics remain altered 1,600 years after human occupation and if this yielded persistent differences in forest plant communities and their seed bank in particular. Compiègne forest is located in northern-France and has a history of continuous forest cover since the end of Roman times. Twenty-four Gallo-Roman and 24 unoccupied sites were sampled and data were analysed using paired sample tests to investigate whether soil, vegetation and seed bank still differed significantly. The soil was persistently altered on the Gallo-Roman sites resulting in elevated phosphorus levels and pH (dependent on initial soil conditions) which translated into increased vegetation and seed bank species richness. Though spatially isolated, Gallo-Roman sites supported both a homogenized vegetation and seed bank. Vegetation differences were not the only driver behind seed bank differences. Similarity between vegetation and seed bank was low and the possibility existed that agricultural ruderals were introduced via the former land use. Ancient human occupation leaves a persistent trace on forest soil, vegetation and seed bank and appears to do so at least 1,600 years after the former occupation. The geochemical alterations created an entirely different habitat causing not only vegetation but also the seed bank to have altered and homogenized composition and characteristics. Seed bank differences likely persisted by the traditional forest management and altered forest environment. J.P. would like to thank Eric van Beek for the help provided with the seed bank experiment. The authors thank Stéphanie Renaux for her contribution to field work and preliminary data analysis and the French ‘Office National des Forêts’ for having facilitated our field work and provided useful information about abiotic conditions and management. Herbaceous plant species with a frequency larger than five are represented in the table. Important seed bank species with a lower frequency are also present in the table. Tree species used to calculate cover of light-shade and deep-shade casting species per strata are also represented (frequencies in herbaceous layer) together with their Shade Casting Index (Ellenberg 1996). Remaining species are represented below the table as follows: “Species name: frequency on Gallo-Roman sites, frequency on unoccupied sites”. Species abbreviations of those plants species used to construct Fig. 1 are also presented. Plant nomenclature follows Lambinon et al. (1998).